Why we love it: Create a fresh, dewy glow with these Creme Blushers from Au Natural. Crafted with natural, vivid pigments, each blush brings a beautiful flush of youth and vibrance to your look. 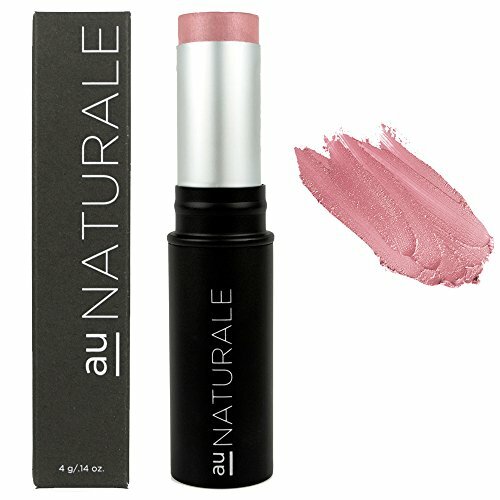 The luxurious creme texture gives a soft glow to the skin and makes these blushes incredibly easy and quick to use. Just swipe onto cheekbones and blend lightly with clean fingers. Available in 9 colors. Organic Limnanthes Alba (Meadowfoam) Seed Oil, Caprylic/Capric Triglyceride, Organic Ricinus Communis (Castor) Seed Oil, Euphorbia Cerifera (Candelilla) Wax, Organic Simmondsia Chinensis (Jojoba) Seed Oil, Organic Ricinus Communis (Castor) Seed Wax, Organic Lavandula Officinalis (Lavender) Oil, Manihot Esculenta (Tapioca) Root Starch, Iron Oxides, Titanium Dioxide, Mica.